Today, however, the once simple Santa’s Grotto has been turned into a ‘complete’ experience which usually ends in a meeting with Santa himself. 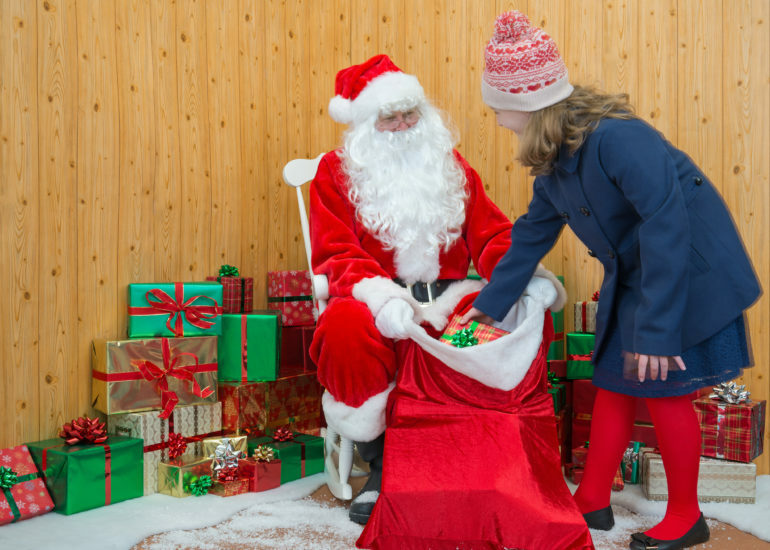 Here we look at the six best Santa’s Grottos in the UK, from castles to shopping centres and theme parks to museums. Here we tell you all about them and where to find them. 1. M&Ds Theme Park is located in Motherwell, Scotland and has a Winter Wonderland for everyone to enjoy. The Winter Wonderland experience covers a variety of activities, including seeing live reindeer and listening to traditional Christmas stories in an all-seater theatre. You can also take part in ice skating as well as visiting Santa in Scotland’s largest grotto, which includes animations of the Snow Queen and Santa’s Workshop as well as a gift for each child. This attraction is open from 10.30 until 17.00 most days but some times/days may vary. 2. In the Midlands, the Dudley Canal Trust runs trips to visit Santa in the Dudley Caverns. Travelling by boat, it is the journey through magical, illuminated caverns that makes this grotto so special. All children receive a gift from Santa while adults can soak up the festive atmosphere with entertainment, hot drinks and mince pies. There is also a family pantomime for all to enjoy. 3. If you are visiting the capital then there can be no better Santa’s grotto than the one at Harrods department store in Knightsbridge. Visits involve taking a journey through the Ice Kingdom before meeting Father Christmas in a frozen grotto. Each child receives a gift and the grotto is open from 10am-8pm (Mon-Sat) and 12pm-5pm (Sun). 4. If you want to visit Father Christmas and participate in plenty of other Christmas activities, then why not visit the Beamish Museum in County Durham? 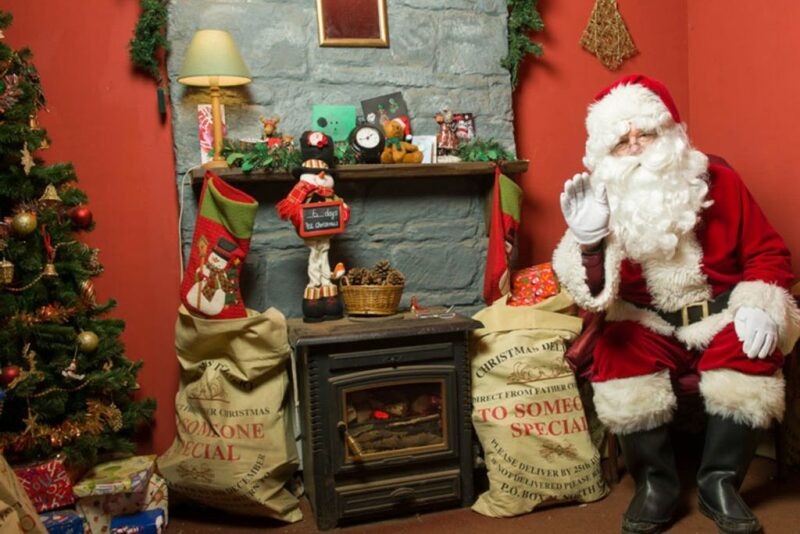 Father Christmas is situated in a stunning fireside grotto and once you have visited him then you are free to enjoy the other things on offer, such as a Winter Fun Fair, including an ice rink, Christmas Market and plenty of food and drink. This is all available every day from 10am-4pm. 5. 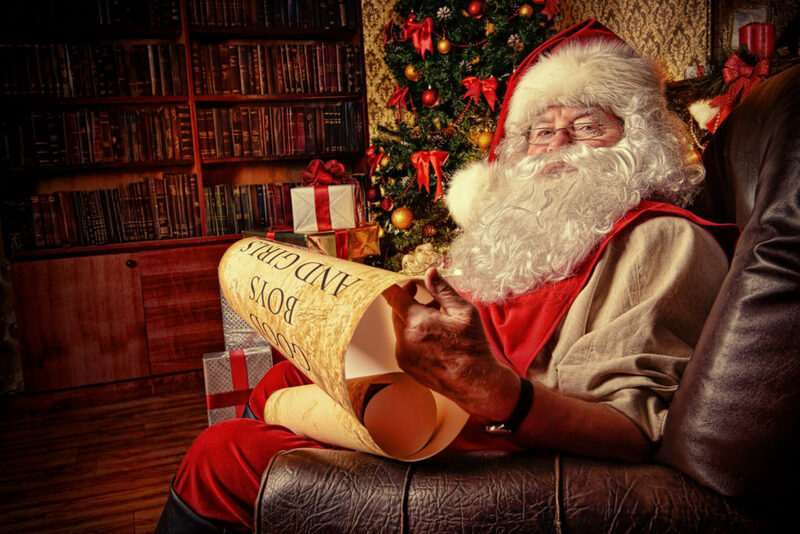 For a Santa’s Grotto with an historical twist, then visit Cardiff Castle in Wales. Santa is located in the Black Tower which has been transformed into a lavish and magical grotto where all children will receive a special gift. Entry to the Grotto also includes a Christmas trail around the rest of the Castle with the chance to see all the Christmas decorations and to design and make your own Christmas card. The castle is open from 9.30am until 4pm. 6. Visitors to Marwell Zoo in Winchester, Hampshire might also want to pay a visit to Father Christmas while they are there. 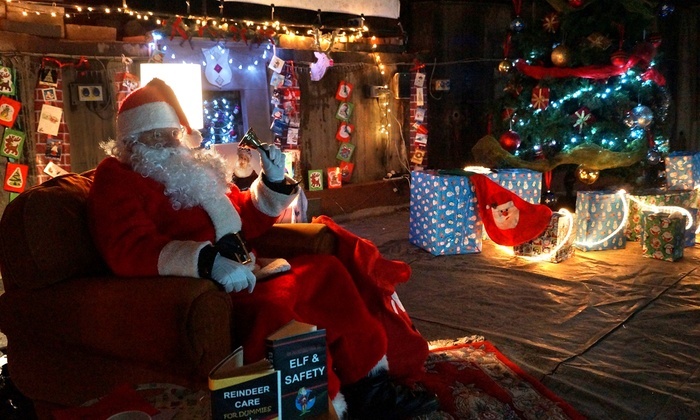 The Santa’s Grotto experience includes stories with Mrs Claus as well as meeting the elves and making your own Christmas tree, while Santa himself sits in a magical sparkling grotto with a gift for each child. The Zoo is open from 10am-4pm. Hopefully this has whetted your appetite to visit an amazing Santa’s Grotto and if you have missed it this year, then there is always next Christmas!